While you cannot always avoid accidents, you do have the ability to control whether or not you wear a seat belt. This is essential, regardless of your position within a vehicle. Rear seat passengers often have a false sense of security, and avoid buckling up, thinking they are less prone to fatal injuries than those riding in the front seats. This is a major fallacy. In the case of an accident, the passenger riding in the back can collide with a person in the front seat, resulting in severe head injury to both. The importance of using the occupant restraint system cannot be overstated. According to a report by the Centers for Disease Control and Prevention, wearing a seat belt can reduce injury and death rates by as much as 50%. The possibility of a passenger being ejected from the car in an accident is lowered significantly to just 1% for those wearing their safety belt. This is the reason most vehicles have visual displays, sound alerts or both to remind passengers to buckle up. And, of course, it’s the law. For mobility riders, additional or enhanced protection may be required for a car journey. 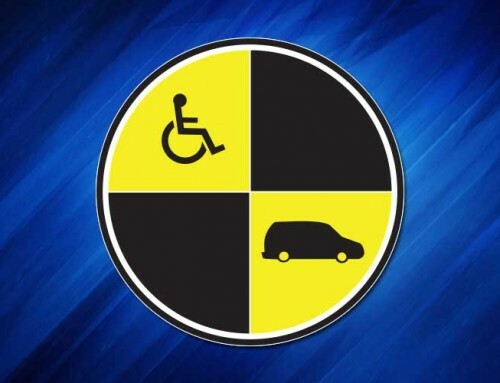 This is because even under normal circumstances, persons with special needs are at a greater risk of injury when the vehicle starts, stops, turns or when the brakes are suddenly applied. If possible, mobility riders may be transferred into a seat within the vehicle, but this is not always an option. Fortunately, there are highly specialized and reliable occupant restraint systems available, which should be used regardless of journey length — whether a short drive to the supermarket or a long venture for a holiday. Sure-Lok’s occupant restraint system offers a host of options, enabling you to choose products that are best suited for the mobility rider’s specific needs, as well as the layout of the vehicle. There are three types of restraints, including lap belts, shoulder belts and integrated combination belts. All of which have been qualified under different impact test criteria and adhere to the prescribed regulations, wherever applicable. If the mobility rider cannot be shifted to a seat within the vehicle, a standard occupant restraint system will not be sufficient. 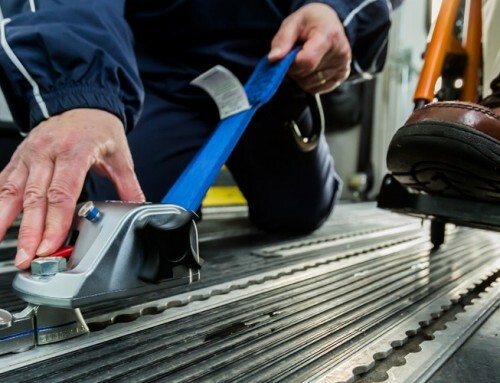 In such cases, wheelchair securements, including retractors and restraints should be used for complete safety. Technological advancements have greatly increased the level of protection offered by occupant restraint systems in case of a crash. Be diligent in taking all proper precautionary measures to safeguard yourself and loved ones. Contact us to learn more about wheelchair securement products, including the TITAN800.